The air quality inside your home is just as important as heating or cooling it. Poor indoor air quality can open your home and health to some serious risks. At Fox Plumbing & Heating we offer our Seattle customers air quality solutions that can let you breathe easier. 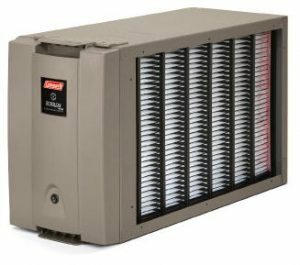 Electronic Air Cleaners and Media Air Filters (aka furnace filters) work by trapping particles that flow through the furnace or air handler fan before the air reaches you. Media filters are composed of paper, and they must be changed out every 4 to 6 months depending on your furnace’s specifications. These filters are recyclable. Electronic Air Cleaners use an electrostatic charge to adhere dirt and dust particles to a plate. That plate can then be easily removed and washed off. Advanced models, such as the Coleman hybrid electronic air cleaner can remove allergens, viruses, mold and smoke at a level equivalent to a top quality media filter. Products that purify the air do more than trap particles that come their way. They proactively kill viruses, molds, and more organic compounds. 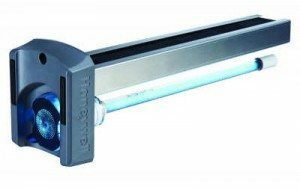 The most popular of these air purifiers is the safe and hospital tested, UV light. Ultra Violet light, the light from the sun, is naturally purifying. 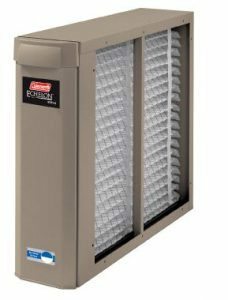 When installed in your furnace or air handler, alongside your air cleaning filter, it creates a strong system for indoor air quality control. WHY IS INDOOR AIR QUALITY A CONCERN? According to numerous national organizations studies, including the EPA, Consumer Product Safety commission, and the American Lung Association, the air we breathe in our Seattle and King County homes can be more of a health concern than outdoor air pollution. In fact, the air inside our homes can be two to five times more polluted than the air outside our homes. All of these items can create dangerous VOCs (Volatile Organic Compounds). Once these contaminates are in our homes they can’t easily get out, and we're stuck breathing them. When home ventilation is insufficient, these particles can really build up and cause asthma, lung disease, allergies, infections, and other health concerns. This is especially important since Americans tend to spend so much more time indoors these days. As it turns out, the current trend toward sealing homes tightly to reduce energy costs comes at a price. Today's home has thick side walls, packed full of insulation, insulated glass windows, and tight seals around our doors. This is great for keeping cold air from getting inside, and heat from escaping, which does reduce our utility bills and increases comfort. However, all the pollutants that we create in our homes cannot escape either. WHY CHOOSE FOX TO INSTALL INDOOR AIR QUALITY SYSTEMS? By working with our professionals to install an air quality system in your home, you can increase the safety and comfort of your home. Most IAQ systems install in a few hours and can be installed on your existing central heating system as part of a total comfort package. Fox Plumbing & Heating Specialists are trained on best practices, which can help you to make the best decision for your indoor air quality. We will also work within your budget to make sure whichever system you do choose, is both affordable and efficient for your home needs. Don’t forget that an important part of keeping your home safe and air clean is having annual maintenance done on your HVAC equipment. The maintenance service will ensure that your heating and cooling equipment is not leaking any gas or chemicals and that your filter is clean and properly sized. Call (206) 767-3311 today to schedule your indoor air quality upgrade appointment.